Please meet Qingfeng Ge, the recipient of the 2018 Midwest Award. Dr Ge will officially receive the 74th Midwest Award and keynote the award symposium at the Midwest Regional Meeting in Ames, Iowa, on October 22nd. 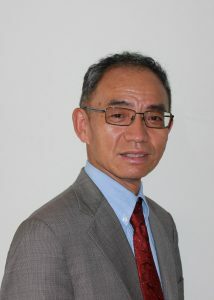 Dr Qingfeng Ge is a Distinguished Scholar at Southern Illinois University–Carbondale and Professor in the Department of Chemistry and Biochemistry. Dr Ge received his education from Tianjin University, China, and gained BS, MS, and PhD degrees in Chemical Engineering. He worked as a postdoctoral scholar in chemistry departments at Copenhagen University, Denmark, and Cambridge University, UK, in experimental and computational surface sciences. He moved to the USA at the end of 1999, starting as a Research Scientist iat University of Virginia in computational heterogeneous catalysis. In 2003, he joined the Department of Chemistry and Biochemistry at SIUC and was promoted to Associate Professor in 2007 and Professor in 2010. He is the winner of the 2018 university-level Scholar excellence award and was granted the title of Distinguished Scholar. He has been a guest professor at Tianjin University since 2007 and Taiyuan University of Technology since 2010. Dr Ge’s experience ranges from experimental characterization of catalysts and kinetic modeling of catalytic processes to first-principles–based simulations of materials. A main thrust of his research program is using modeling and simulation to address materials issues related to energy and environment, including CO2 conversion and utilization, catalytic conversion and upgrading of biomass-derived chemicals, and hydrogen storage. Current research projects include hydrogenation and electrochemical reduction of CO2, CO2 coupling with methane, and hydrogen storage properties of graphene-confined complex metal hydrides. In 2005, he was one of 70 recipients of a Presidential Hydrogen Fuel Initiative grant. His research group at SIUC has been continually supported by grants from the US Department of Energy and the National Science Foundation. He has authored or coauthored more than 140 peer-reviewed publications and delivered about the same number of invited presentations and seminars. A significant portion of the publications have resulted from collaboration with experimental groups. 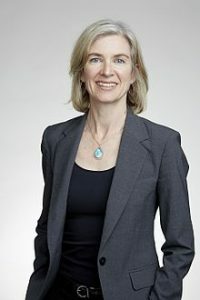 Dr Ge played leadership roles in promoting theory and computation in energy-related applications and organized several symposia at ACS national meetings and international conferences. He currently serves as Associate Editor of the Journal of CO2 Utilization (Elsevier) and is on the editorial boards of several other journals. He was a guest editor for Catalysis Today, Topics in Catalysis and PCCP (Physical Chemistry, Chemical Physics, a publication of the Royal Society of Chemistry). Dr Ge served as Chair of the Southern Illinois section of the American Chemical Society in 2011 and continued as member of the board of executives until 2013. The Midwest Award is administered by the Saint Louis Section–ACS.